MANSFIELD, Mass. 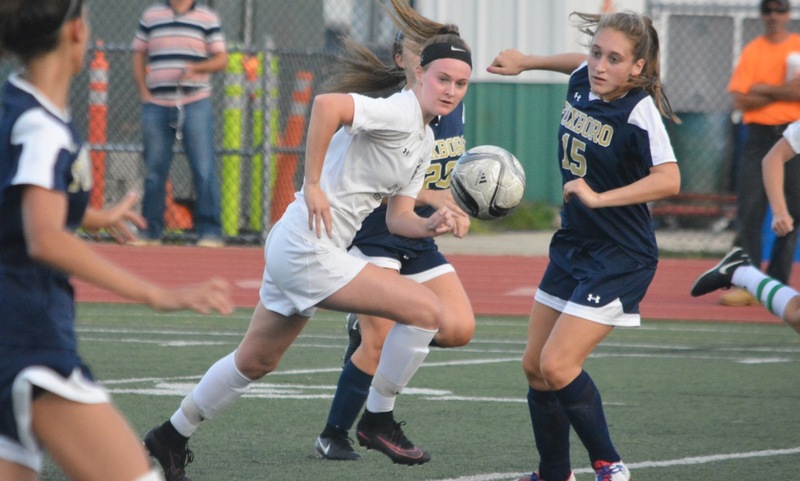 – After winning the program’s first ever league title last fall, Mansfield comes into this season with a deep and experienced roster, but it was youthful Foxboro that started Thursday evening’s season opener at Alumni Field with energy and confidence. The Warriors were pushing the Hornets back towards their own goal and putting pressure on the Mansfield back line. 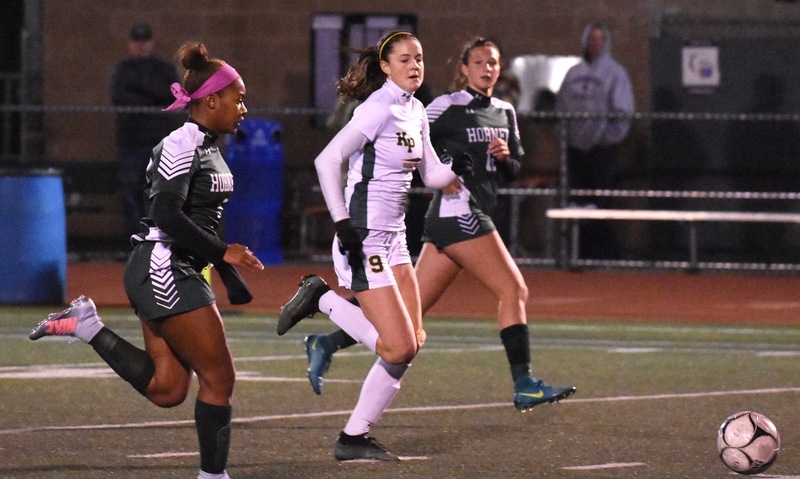 But, 15 minutes into the game, the Hornets picked out a pass over the top, a bad bounce took it past the defender, and junior Amanda Mangano slid the ball past Foxboro keeper Jamie DeVellis to open the scoring. That goal changed the game. 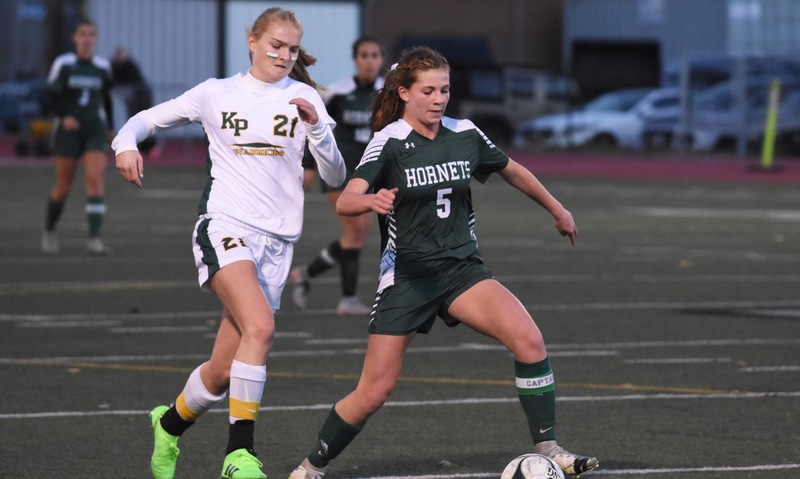 The Hornets clicked into gear and dominated from that point on, running out to a 5-1 win behind a pair of goals and three points from junior forward Stephanie Kemp and a pair of assists by senior Emma Oldow. 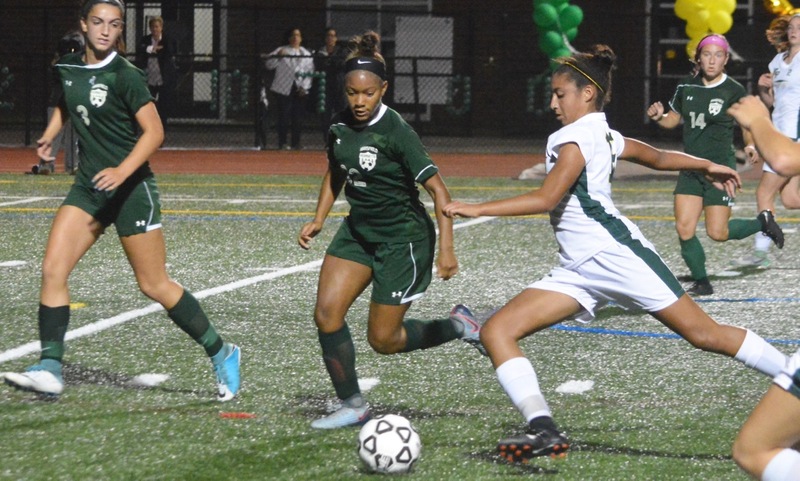 Foxboro was putting pressure from the opening whistle, using a high line and high pressure to win the ball and then quickly releasing freshman Jordyn Collins into the channels. 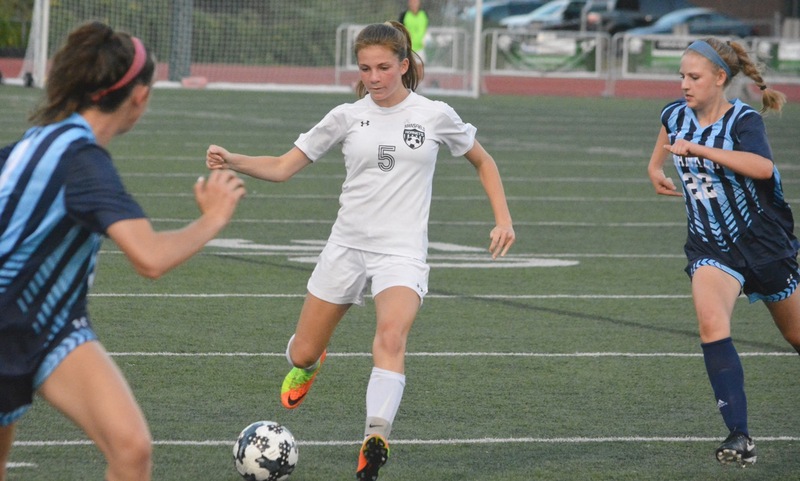 Collins was able to run at defenders along with sophomore Lizzy Davis and win the Warriors a few early corners. The best chance in the opening minutes was a 30-yard free kick by Lily Sykes that swerved over the bar. 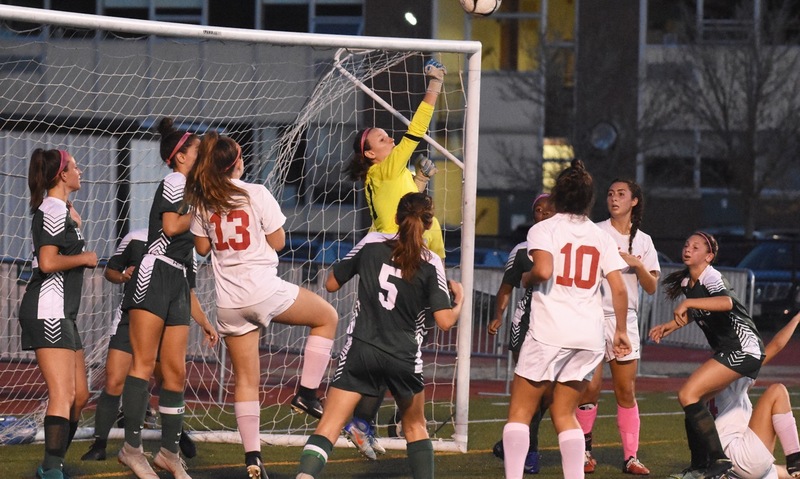 In the 16th minute, Oldow fired a pass forward towards Mangano and the ball skipped through the center of the Foxboro defense to create a one-on-one with the keeper. Foxboro struggled to sustain the pressure after falling behind. Once the momentum turned, Mansfield took full control of the game. Junior Cassidy McMahon sent a shot wide from the right corner of the box and then sent a free header over the bar from the six-yard box. 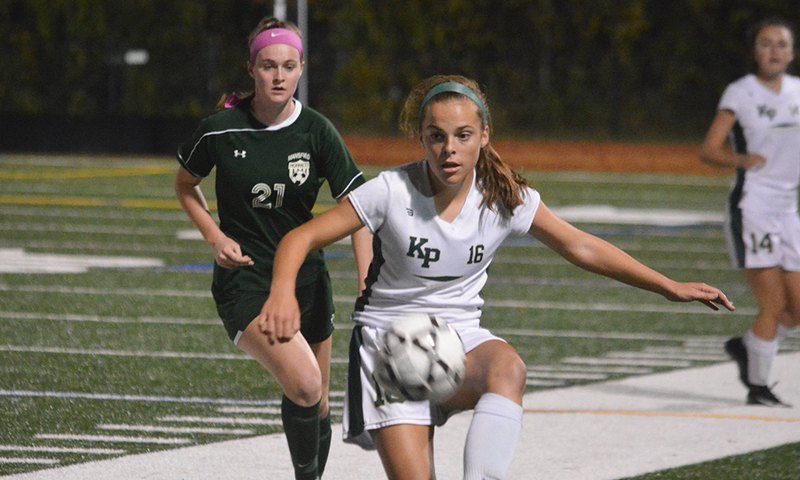 Kemp, who had an early chance that she sent wide, doubled the lead in the 31st minute when she ran onto a long ball from Erin Daniel, rounded the keeper and tapped it in. Kemp nearly played provider a minute later, but Oldow shot wide when free on goal and then Kemp missed a chance that DeVellis appeared to get a finger to, but was ruled a corner. 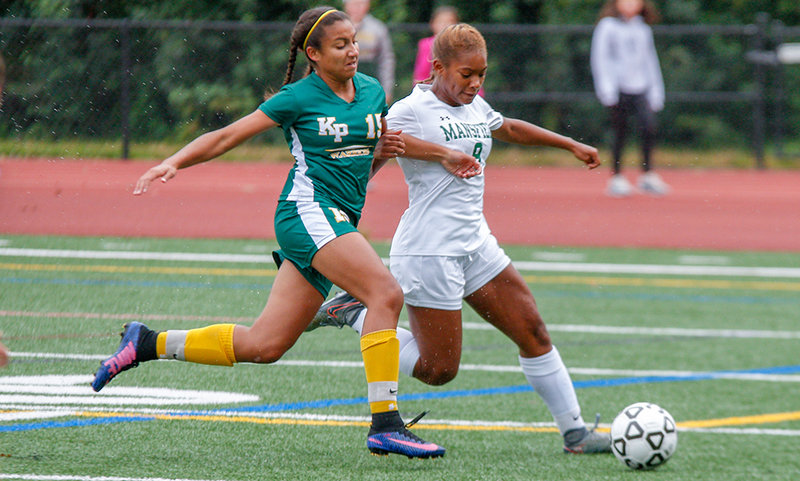 Foxboro could have made the game closer before halftime, but Sykes had a free kick saved at full stretch by Mansfield keeper Caty DeMassi. On the resulting corner, the ball was redirected up and off the bar to keep it 2-0 heading into halftime. 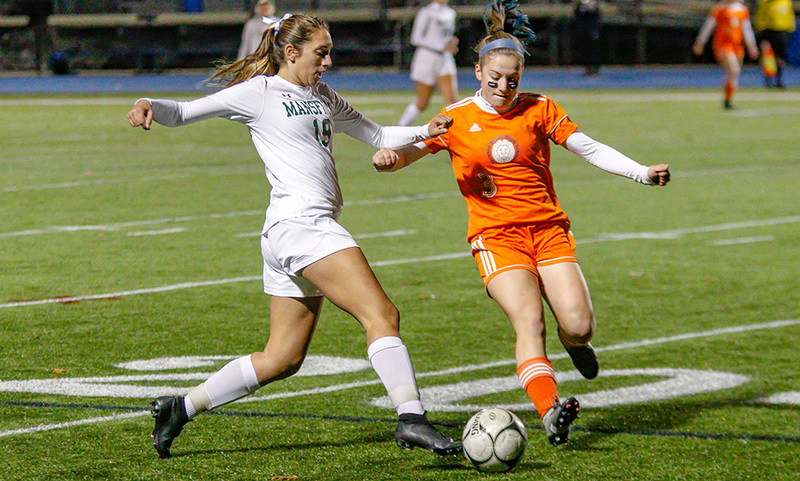 Despite the speed of the Warriors’ attack, the Mansfield defense was able to hold strong, particularly the combination of center backs Emily Vigeant, Daniel, and Taylor Smith, a senior defender who transferred from Seattle, Wash. (and is already committed to play soccer at the University of Minnesota next year). The third goal came nine minutes into the second half. Bryn Anderson picked out Oldow with a defense-splitting pass but Foxboro keeper Morgan Sylvestre (who took over at halftime) made a sliding save. The ball bounced out to Kemp, who calmly side-footed the ball home. Two minutes later, Kemp knocked down a long ball, Anderson took a touch to her left, and curled a shot past a diving Sylvestre. 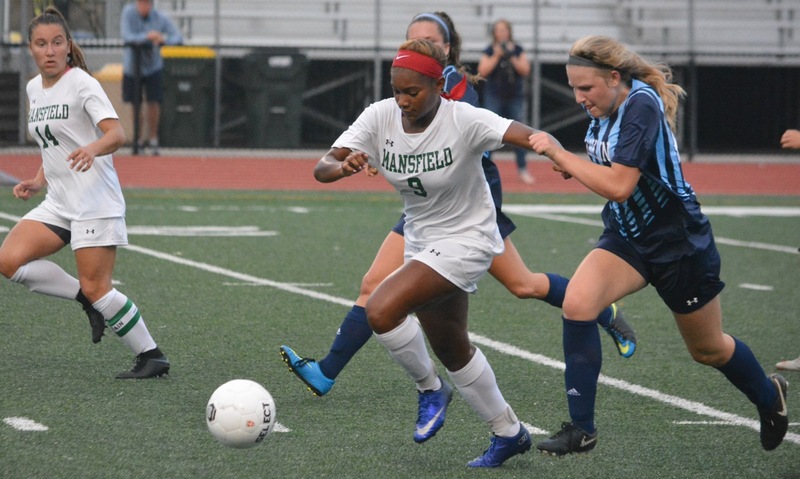 Sykes was being smothered by the Mansfield midfield, with Anderson and fellow junior Melissa Reef constantly keeping an eye on Foxboro’s star. She finally got space in the 54th minute and curled a shot that DeMassi could not hold. Mackenzie Fraser was first to the loose ball and patiently took a touch before finishing the rebound. In the 57th minute, Mansfield restored its four-goal advantage. Mangano had a chance in the box, but the ball was cleared off her foot by Mackenzie Cusack. The clearance went directly to McMahon on the right side of the box and she hit it first time into the far side-netting. Mansfield (1-0) will travel to Canton on Monday night in a crossover game, while Foxboro (0-1) will host unbeaten King Philip.